Well at least my album isn't as far behind as my blog is! Top Left: 4x6 card from my original Project 365 kit. 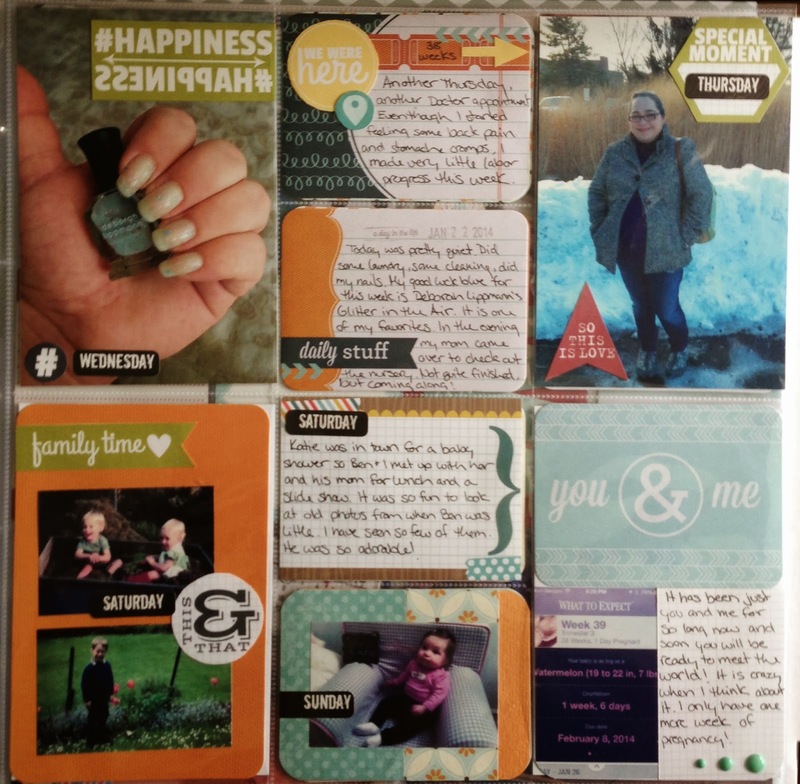 I just added a date stamp and I used another transparent word from my Gossamer Blue January Life Pages Kit. Love those! Top Right: 4x6 card from my GB January LP kit. 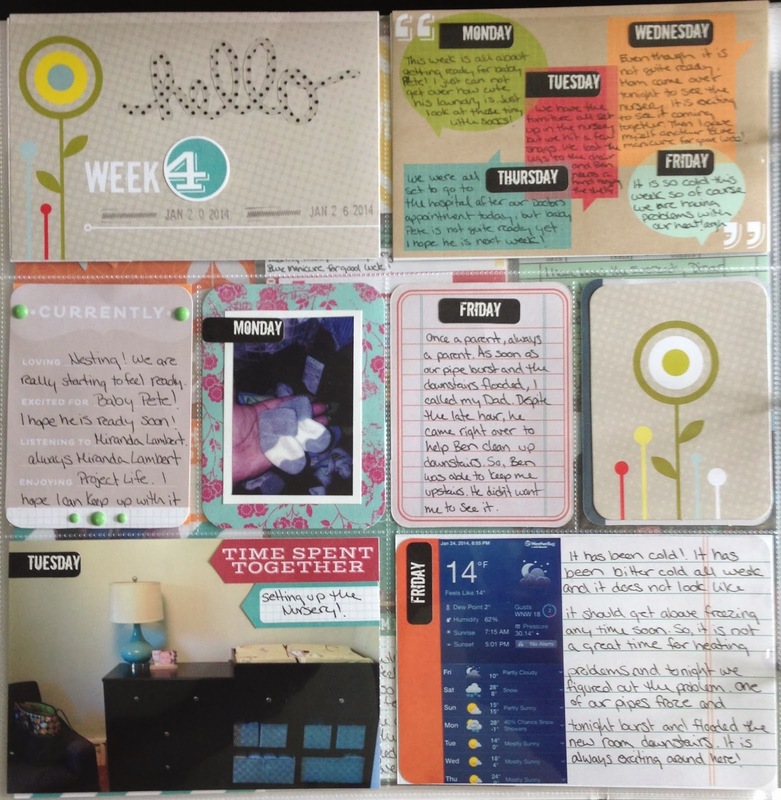 I just added journaling for each weekday and those great weekday stickers are from my original Project 365 kit, too! Bottom Right 4x6: 3x4 from WRMK Tangerine Kit with Photo printed from my Zink Happy Printer all mounted on grid paper from a Recollections Sn@p paper pad. The enamel dots are from the GB January LP Kit. I also have completed week 5 so I hope to share that with you soon! Thanks for looking!